Jon “War Machine” Koppenhaver, Joe Riggs, and Mark Scanlon have withdrawn from the season ten welterweight tournament and taking their places in the tournament will be Paul Bradley, Nathan Coy, and Cristiano Souza. 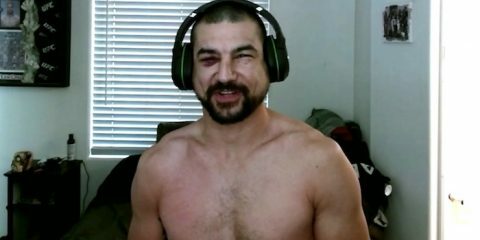 War Machine and Riggs pulled out of the tournament due to documented medical conditions and it’s unknown why Scanlon is no longer in the tournament. 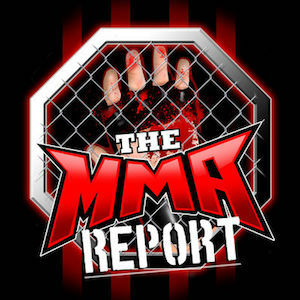 The changes to the tournament were confirmed to TheMMAReport.com by Bellator on Saturday. With the new fighters being added to the field, the new opening round matchups will be Andrey Koreshkov vs. Nah’Shon Burrell, Sam Oropeza vs. Souza, Jesse Juarez vs. Adam McDonough, and Bradley vs. Coy. 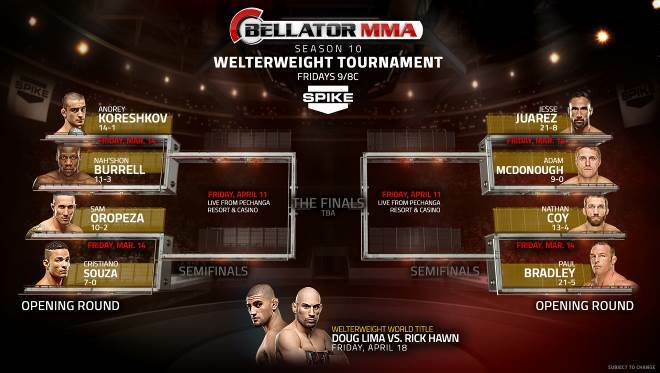 Bellator 112 takes place on Friday night from the Horseshoe Casino in Hammond, Indiana and the current fight card is below.